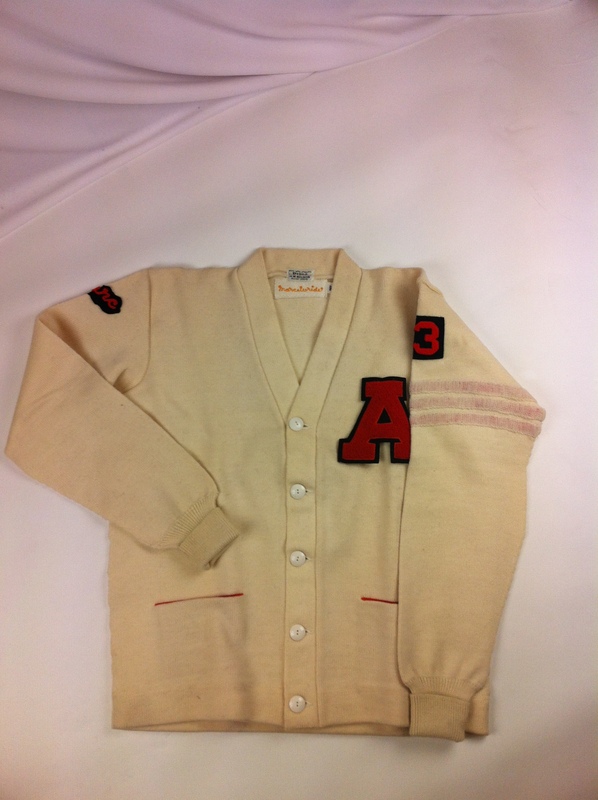 the Varsity Cardigan, also known as Letterman cardigan or Honour cardigan would originally be issued to members of sports teams of colleges and universities honoring their achievements playing for the school. The term was normally 4 years. 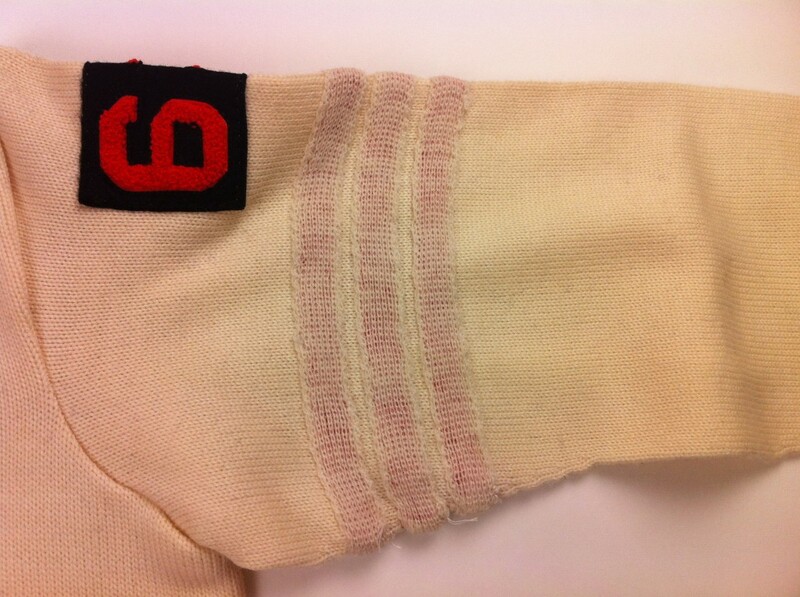 In the first year all 3 stripes on the sleeve would still be covered by a hand knitted woolen thread. At the end of each year that thread could be pulled off so that in the 4th year all 3 stripes would be visible. The chenille capital letters marked the name of the college or university (“Y” for Yale), the chenille numbers usually indicated the year of graduation. 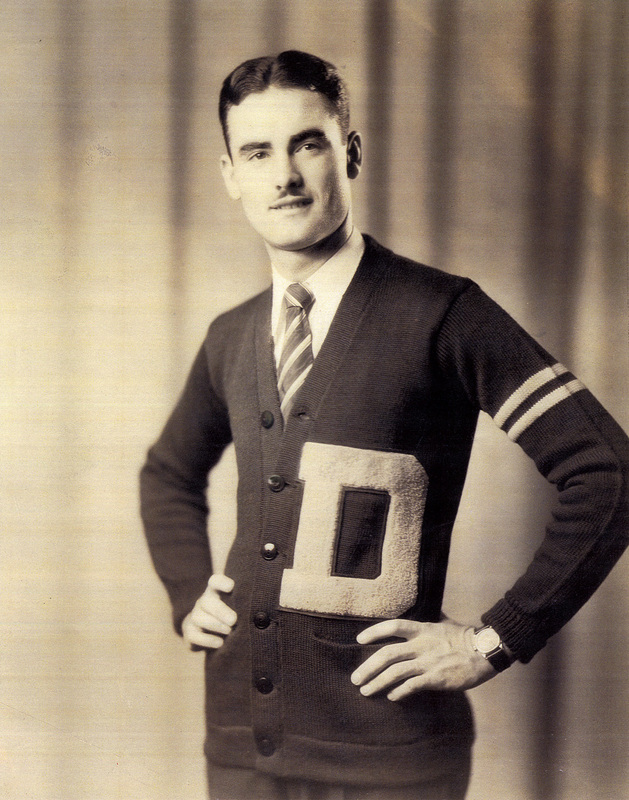 The Dehen Knitting Co. started making such cardigans in the early 1920ies and kept on producing these till date. The version that hit the stores now is based on a 1950ies fit. 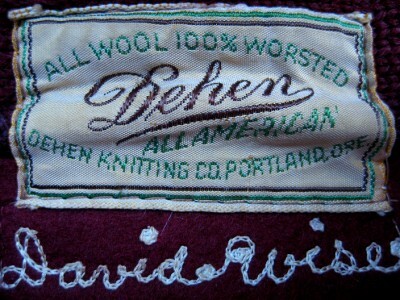 It is made in a 4-ply 100% worsted wool. It is really heavy. More than 2,5 pounds of wool alone are used to knit one of those. Heavy duty, old school truth, since 1920.
all 3 types of honor knit styles: a Letterman sweater, a shawl cardigan and a cardigan. 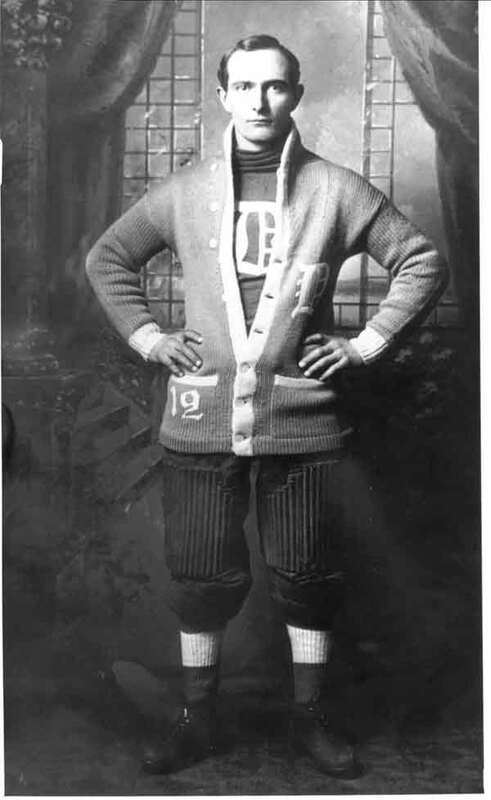 a very early version of a Cardigan, most likely around 1910.
an early photo of a Dehen Varsity Cardigan, 1920ies. from the Dehen archives, 1970.
from a vintage Dehen advertising, late 60ies, early 70ies. 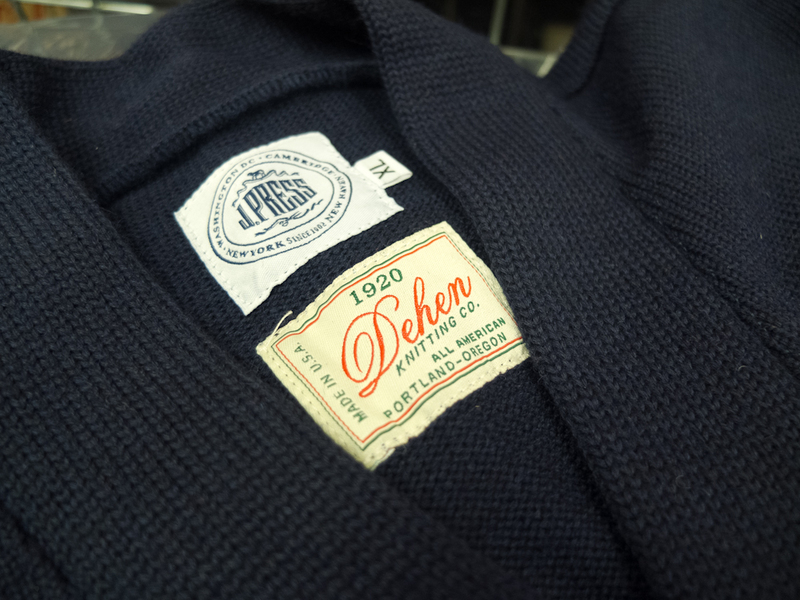 a vintage piece from the Dehen archives, new old stock with the sleeve stripes still covered. 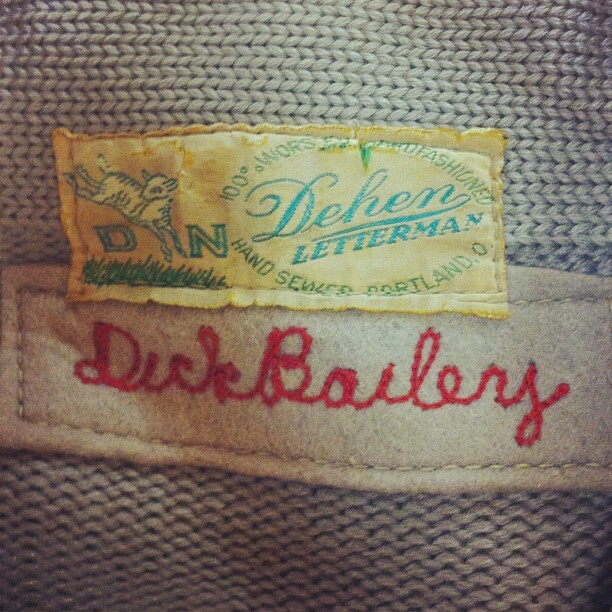 Vintage Dehen labels and personalized name tags on 2 pieces from the Dehen Archives. 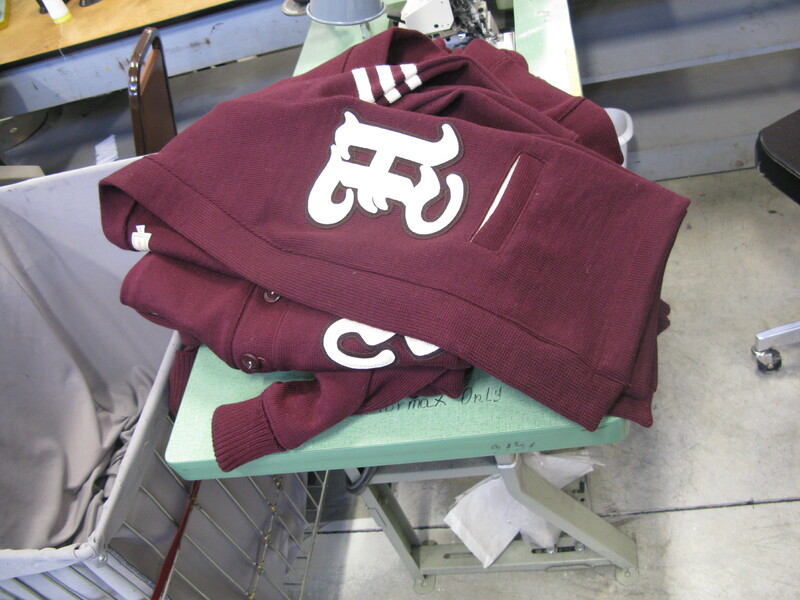 the SIGNATURE VARSITY Cardigan in the production line in the factory in Portland, Or. col. green, in stores now. 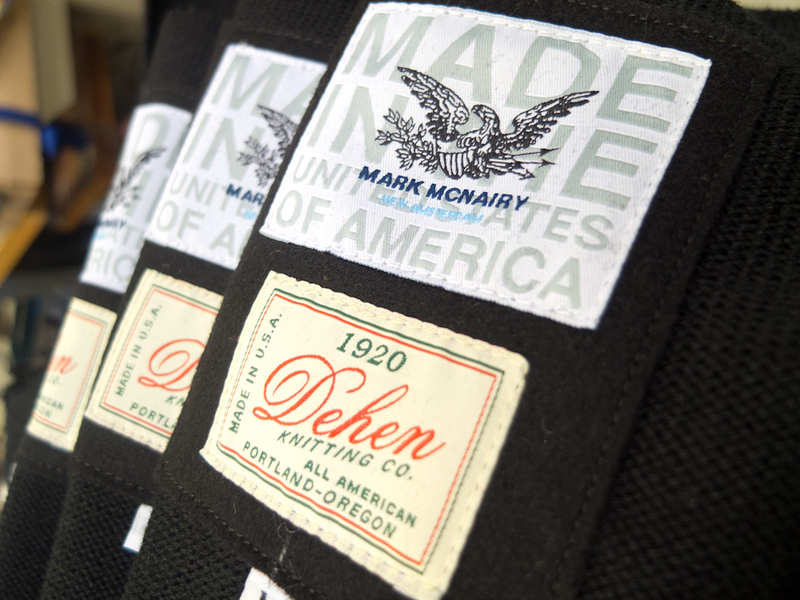 a SMU from the cooperation DEHEN x Mark McNairy now at Starcow, Paris. from a special coop with another well known company. Michael Jackson was known to be a big fan of all kinds of Varsity stuff. 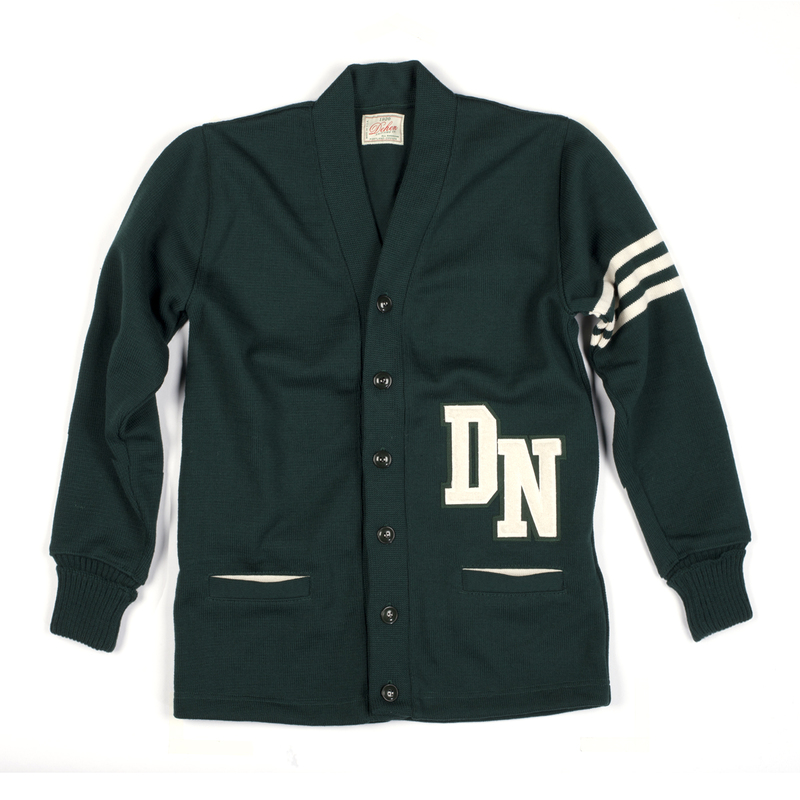 This entry was posted in Uncategorized and tagged Dehen1920, J.Press, Letterman cardigan, Mark McNairy, Michael Jackson, Starcow, The Dehen Knitting Co., Varsity Cardigan by AMTRAQ. Bookmark the permalink.